Through a literal and selective reading of a Revealed Word, it makes religion into a political tool and in so doing, hallows it. This heresy is a fatal disease at this end of the century, that I already defined in "Integrismes." I fought Islamic fundamentalism in "The Greatness and decadence of Islam" at the risk of displeasing those who did not like me to say it. I fought Christian fundamentalism in "Towards a war of religion" at the risk of displeasing those who don't like me to say: "The Christ of Paul is not Jesus." "Zionism wants to define the Jewish people as a national entity ... which is a heresy." SOURCE: "Washington Post," October 3, 1978. 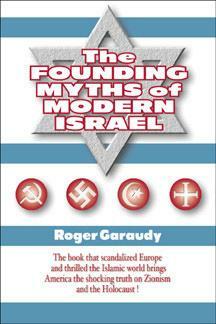 What is the Zionism that I denounced (and not the Jewish people) in my book? It has often defined itself: it is a political doctrine. "Since 1896, Zionism refers to the political movement founded by Theodore Herzl." SOURCE: Encyclopedia of Zionism and Israel. "Herzl Press." New York, 1971, volume 2, p. 1262. This is a nationalist doctrine which was not born out of Judaism but out of the European nationalism of the 19th century. Herzl, the founder of political Zionism, did not claim to belong to a religion: "I do not obey a religious impulse." He was not interested in the "Holy Land" in particular: for his nationalist objectives, he would have equally accepted Uganda or Tripoli, Cyprus or Argentina, Mozambique or the Congo. But in the face of the opposition of his Jewish friends, he realized the importance of the "Mighty Legend" (June 9, 1895), Diaries I, p. 56) as "a rallying cry of irresistible power." This is a mobilizing slogan that this eminently realistic politician could not ignore. Transposing this "mighty Legend" of the "Return" into historical reality, he declared: "Palestine is our unforgettable historical homeland ... The name alone will be a powerful rallying cry for our people." SOURCE: "L´État Juif," p. 209. "The Jewish Question is for me neither a social question nor a religious question ... it is a national question." This is a colonial doctrine. Here too, the lucid Theodore Herzl does not hide his objectives. The first step is to set up a "Charter Company" under the protection of England, or any other power, as a stepping stone toward the formation of "the Jewish State." That is why he called on the master of this type of operation, the colonial trafficker, Cecil Rhodes, who used his Charter Company to carve out of South Africa a subsidiary bearing his name: Rhodesia. "Please send me a letter stating that you have examined my program and that you approve it. You may be wondering why I am calling on you, Mr. Rhodes. It is because my program is a political program." SOURCE: Herzl, "Tagebuch," Vol. III, p. 105. 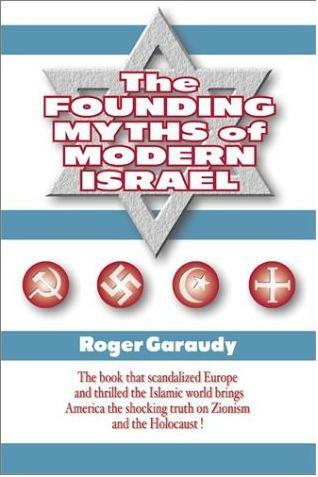 "I founded the Jewish State." Half a century later, his disciples applied exactly the same policies, used the same methods and followed the same political line to create the State of Israel (after W.W. II). But this political, nationalist, colonialist enterprise was never a fulfilment of Jewish faith and spirituality. At the same time as the Congress of Basle, which could not be held in Munich (as predicted by Herzl) because of opposition from the German Jewish community, another conference was held in Montreal (1892), where Rabbi Isaac Meyer Wise, the most representative Jewish personality in America, initiated a motion against the political and tribal Zionist interpretation of the Bible and for a spiritual and universalist interpretation of the Prophets. "We totally disapprove of the initiative aiming at the creation of a Jewish State. Attempts of this type highlight an erroneous conception of the mission of Israel ... that the Jewish Prophets were the first to proclaim ... It aims at a Messianic time when men recognize belonging to one great community for the establishment of the Kingdom of God on earth." SOURCE: Confèrence Centrale des Rabbins Americains. Yearbook VII, 1897, p. xii. This opposition to political Zionism, inspired by the attachment to the spirituality of the Jewish faith, did not cease from expressing itself. Following W.W.II, using the U.N. and at the same time taking advantage of rivalries among nations and, especially, of the unconditional support of the United States, Israeli Zionism managed to impose itself as a dominant force. Thanks to its lobby, it succeeded in reversing an admirable prophetic tradition. But it did not manage to stifle the criticism of great spiritual men. Martin Buber, one of the great Jewish voices of this century, during his entire lifetime and until his death in Israel, did not stop denouncing the degeneracy and even the inversion of religious Zionism into political Zionism. egoism, daring, even like Mussolini, to proclaim itself sacroegoismo, as though collective egoism could be more sacred than individual egoism. 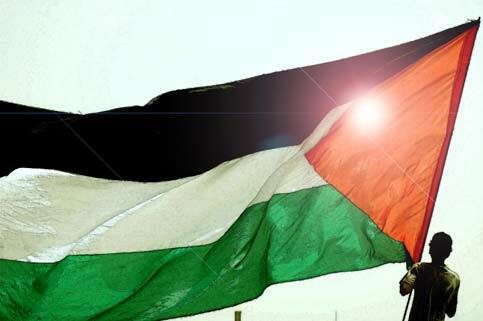 When we returned to Palestine, the decisive question was: Do you want to come here as a friend, a brother, a member of the community of people of the Middle East or as the representatives of colonialism and of imperialism? "All was not always perfect in our relations with the Arabs, but there was, in general, good neighborliness between Jewish villagers and Arab villagers. "This organic phase of establishment in Palestine lasted until the time of Hitler. "It was Hitler who pushed the masses of Jews to come to Palestine, and not an elite who came to carry on their lives and prepare for the future. Thus, a selective organic development was replaced by a mass immigration requiring a political force for its security ... The majority of Jews preferred to learn from Hitler rather than from us ... Hitler showed that history does not follow the path of the mind, but that of power, and that when a people is quite strong, it can kill with impunity ... This is the situation that we had to combat ... To "Ihud" we proposed ... that Jews and Arabs not only coexist but cooperate ... This would make possible an economic development of the Middle East, thanks to which the Middle East could bring a great essential contribution to the future of humanity." SOURCE: "Jewish Newsletter," June 2, 1958. "We speak of the mind of Israel and we believe that we are not like other nations ... But the mind of Israel is nothing more than the synthesis of our national identity, nothing more than a justification of our collective egoism ... transformed into an idol. We have refused to accept any prince other than the Lord of the Universe. While we are like all other nations and we drink with them from the same cup that intoxicates them. The nation is not the supreme value ... Jews are more than a nation: they are the members of a community of faith. "Jewish religion was uprooted, and this is the essence of the disease whose symptom was the birth of Jewish nationalism around the middle of the 19th century. This new form of desire for land is the cornerstone of what modern Jewish nationalism has borrowed from modern nationalism of the West. "What does the idea of 'chosen' have to do with all that? Being 'chosen' does not indicate a feeling of superiority, but a sense of destiny. This feeling does not originate from a comparison with others, but from a vocation and responsibility to accomplish the task of which the prophets keep reminding us: if you brag about being chosen, instead of living in obedience to God, you commit a felony." "We hoped to save Jewish nationalism from the mistake of making an idol out of people. We have failed." SOURCE: Martin Buber, "Israel and the World." Ed. Schocken. New York, 1948, p. 263. "Will lead to a war against the Arabs." SOURCE: Norman Bentwich. "For Zion Sake." Biography of Judas Magnes. Philadelphia: "Jewish Publication Society of America," 1954, p. 352. "The new Jewish voice speaks with the voice of guns ... This is the new Torah of the land of Israel. The world has been shackled by the madness of physical force. May Heaven guard us from shackling Judaism and the people of Israel to this madness. It is pagan Judaism that has conquered a great part of the powerful diaspora. During the time of romantic Zionism, we thought that Zion must be redeemed with honesty. All the Jews of America bear the responsibility of this mistake, this mutation ... even those who are not in agreement with the actions of the pagan leadership but stand idly by. 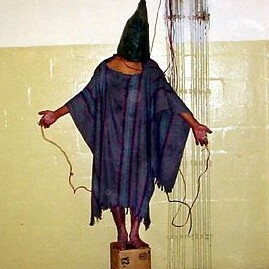 The anesthesia of the moral sense leads to its atrophy." In fact, since the Biltmore Declaration, the Zionist leaders had the most powerful protector: the United States. 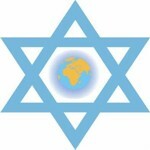 The World Zionist Organization had swept aside the opposition of those Jews faithful to the spiritual traditions of the prophets of Israel, and demanded the creation, not anymore of a "national Jewish home in Palestine," according to the terms (if not the spirit) of the Balfour Declaration of the preceding war (W.W. I), but the creation of a Jewish State in Palestine. "In my opinion, it would be more reasonable to reach an agreement with the Arabs based on sharing life peacefully together, rather than to create a Jewish State with borders, an army and a project of temporal power, no matter how modest it is. I fear the internal damage that Judaism will sustain due to the development, in our ranks, of a narrow nationalism. We are not anymore the Jews of the Maccabees period. To become again a nation in the political sense of the world will be equivalent to turning away from the spiritualization of our community that we owe to the generosity of our prophets." SOURCE: Rabbi Moshe Menuhim, "The decadence of Judaism in our time", 1969, p. 324. The reminders did not miss, following every Israeli violation of international law. "The American Council for Judaism addressed a letter yesterday, Monday, to Mr. Christian Herter, denying the government of Israel the right to speak in the name of all Jews. The Council declares that Judaism is a matter of religion, not nationality." SOURCE: "Le Monde," June 21, 1960. "I am writing to you while listening to a transistor that has just announced that 'we' are in the process of 'realizing our objectives' in Lebanon: to insure 'peace' for the residents of Galilee. These lies worthy of Goebbels make me mad. It is clear that this savage war, more barbaric than any of those preceding it, has nothing to do with the attempt in London or the security of Galilee ... Jews, sons of Abraham ... Jews, victims themselves of so much cruelty, how can they become so cruel? ... The greatest success of Zionism is the 'dejudaisation' of the Jews. "Dear friends, do whatever is in your power to prevent Begin and Sharon from reaching their twin objectives: the final liquidation (a fashionable expression here these days) of the Palestinians as a people, and the Israelis as human beings." SOURCE: Letter, published in "Le Monde," June 19, 1982, p. 9. "Professor Leibowitz calls Israeli politics in Lebanon Judeo-Nazi." SOURCE: "Yediot Aharonoth," July 2, 1982, p. 6. This is what is at stake in the struggle between the Jewish prophetic faith and nationalist Zionism, based, like any other nationalism, on the refusal to recognize the other, and on making oneself sacred. Any nationalism has the need to hallow its pretensions. Following the fractionization of Christianity, each of the nation-states claimed that it had received the sacred heritage and the investiture of God. France is the "eldest daughter of the Church" through which it carries on the work of God (Gesta Dei per Francos). Germany is "above all" because God is with her (Got mit uns). Eva Person declared that "the mission of Argentina is to bring God to the world," and in 1972, the prime minister of South Africa, Vorster, celebrated the savage racism of "Apartheid" saying, "Let us not forget that we are the people of God, invested with a mission." ... Zionist nationalism shares in this exhilaration of all nationalisms. Even the most lucid let themselves be tempted by this exhilaration. of divine history in the world. Israel is the axis of the world, it is its nerve, its center, its heart." This comment recalls the unfortunate "Aryan Myth" whose ideology was the foundation of panGermanism and Hitlerism. This path is the opposite of the teaching of the Prophets and the admirable "I and Thou" of Martin Buber. Exclusiveness bans dialogue: one cannot "dialogue" with Hitler or Begin, because their racial superiority or their exclusive alliance with the Divine leaves them nothing to expect from the other. We are aware that in our time, the only alternative to dialogue is war, and, as we keep repeating, dialogue requires that from the start, everyone is aware of what is lacking in his faith and that he needs the other to fill this void. This is the condition of any desire for fullness (which is the spirit of any living faith). 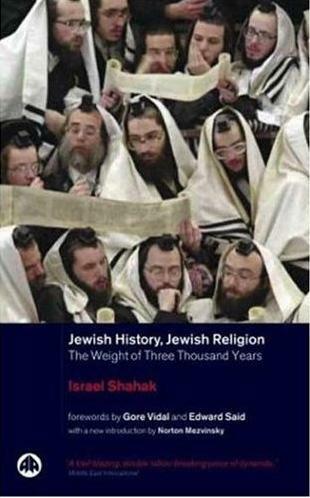 Our anthology of Zionist crimes is part of a body of efforts made by those Jews who have tried to defend a prophetic Judaism against a tribal Zionism. What nourishes antisemitism is not the criticism of the policy of aggression, deception and blood of Israeli-Zionism. It is the unconditional support of its policy, which by literal interpretation of the great traditions of Judaism, selects only whatever justifies this policy, elevates it above international law by making sacred the myths of yesterday and today.